Market pullbacks. 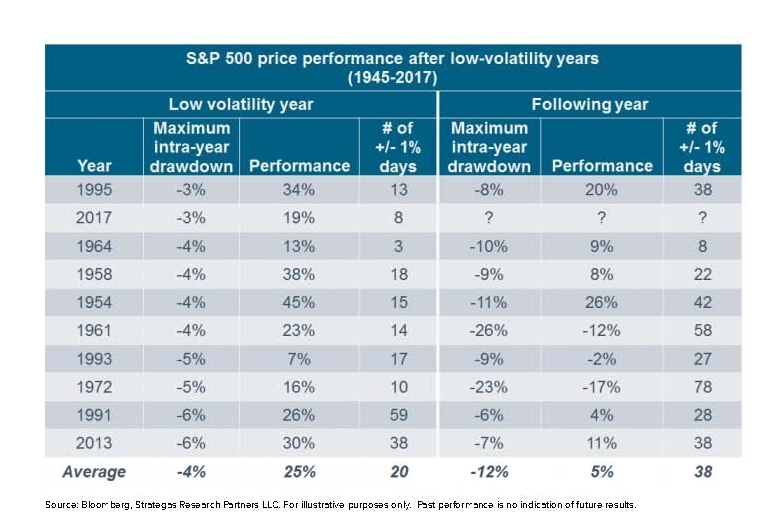 We certainly didn’t miss them when they were seemingly on vacation in 2017 - a year in which the S&P 500 rose 19% and did so with only 8 days of +/- 1% moves and a maximum intra-year drawdown of 3%. January 2018 seemed to indicate that we were in for another year of the “good life” as shown in the market returns for the month. However, last week was a reminder that markets do in fact move in both directions and that market pullbacks are indeed a part of the investing process. For the week ended February 2, 2018, the US stock market capped off its worst week in almost two years, with the S&P 500 falling 3.9% and the Dow falling 4.1%. While markets are still positive for the month, this sharp reversal was jarring. Monday's market has brought mixed action with some ongoing selling pressure. Glass half-full: Optimistic tone. Thoughts include: "Markets move both ways, including this move, we are still in a major bull market based on known data and analysis, this gives me a chance to rebalance and look for fundamentally sound companies that are now priced in my range"
So there’s what we know. What can we only assume? That list is endless and could fill up 100 blog posts. To name just a few: the level at which this pullback bottoms, the timing in which that occurs, where rates move from here, what asset classes will win the year, which stocks will fall, and thousand of over items that no one really knows for sure. Given all of this, where do we come out? Our view is that this is a glass half full/optimistic moment. 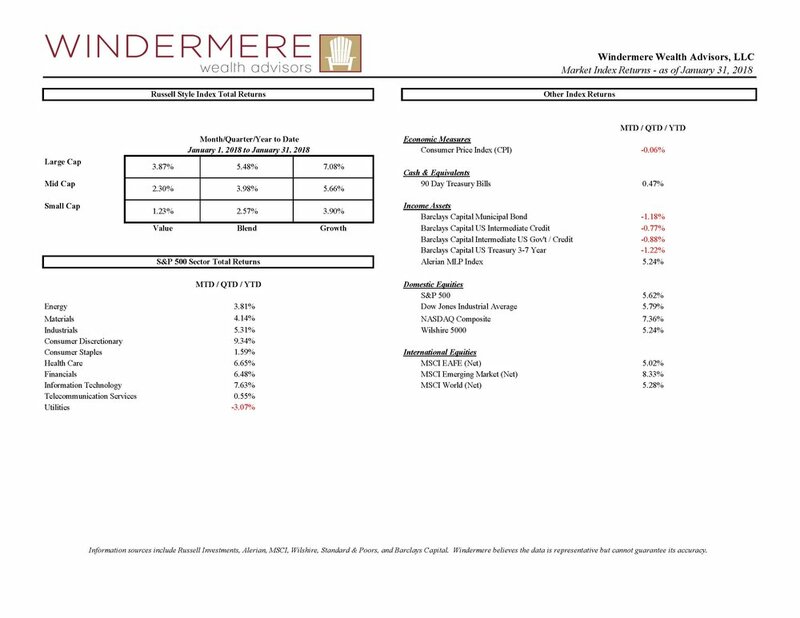 The facts we outlined above support ongoing growth in our equity asset class, both US and international. This pullback gives us the opportunity to trim selected securities that have experienced outsized gains and look for other securities that are exhibiting strong fundamentals and "sale" prices. And perhaps most importantly, we manage client portfolios (like yours) with diversification - so you have asset classes working for you in these pullbacks, such as cash, short duration fixed income, dividend paying equities, and liquid alternatives. We are taking action on your behalf as we see fit. There is nothing you need to do - other than focus on the facts, dismiss the "noise," and reach out at any time. We know it can be unsettling but let's stay the course - together.